Have you ever seen a green coloured cheese before? 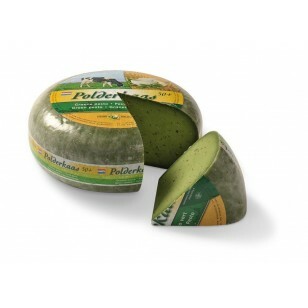 This cheese has his green colour because of the pesto added to it. It is already known that cheese with some pesto on it is a delicious combination but now we succeeded to make a cheese with pesto in it. Surprise your family and friends with this rare delicious type of cheese!